The days of writing down tally marks on napkins are over! 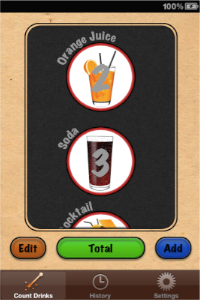 Bar-Buddy lets you quickly count the drinks or other items you need to order at the bar and displays them in a handy list. It can even show you the price, and it will save each order as you get it. 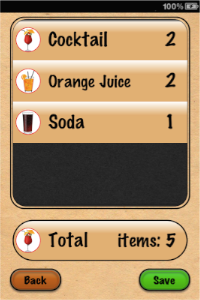 You can edit the items' name, image and price!